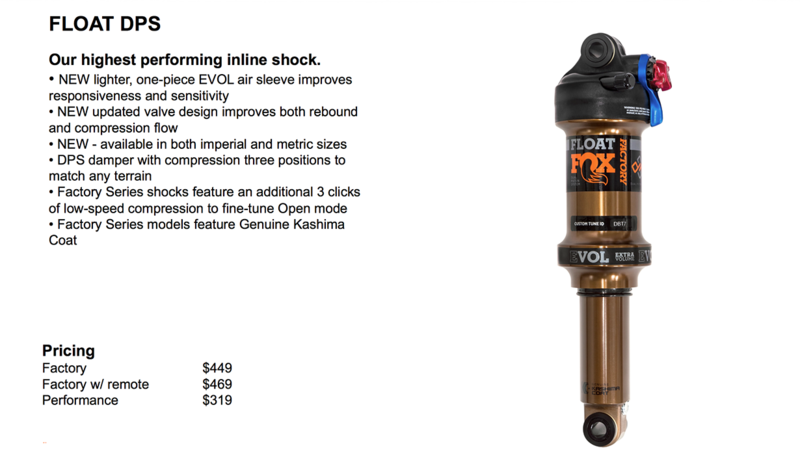 Fox has rolled out their new fork lineup just in time for Sea Otter, the first big race of the season. While there aren’t any earth-shattering changes to the lineup, there are a ton of small tweaks. 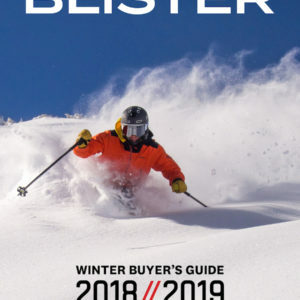 And considering that last year’s forks and shocks from Fox were generally well received (we were psyched on the 32 SC, the 40, and the DHX2), we are optimistic that these changes will primarily make good things better. 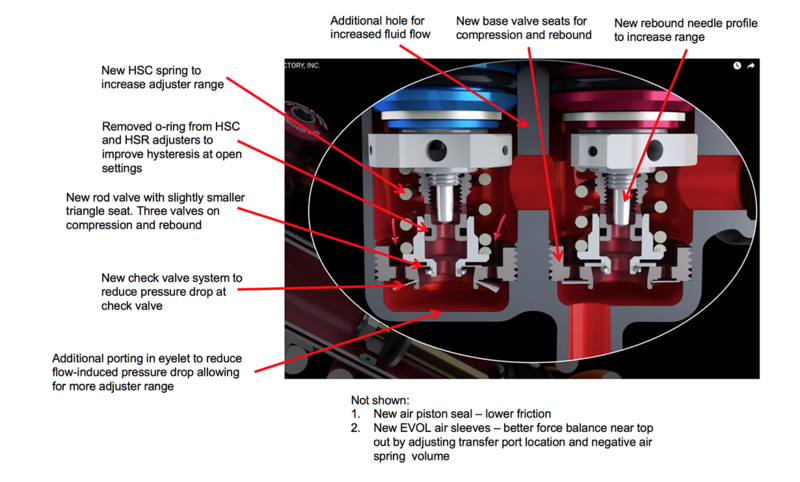 All forks get EVOL air springs. 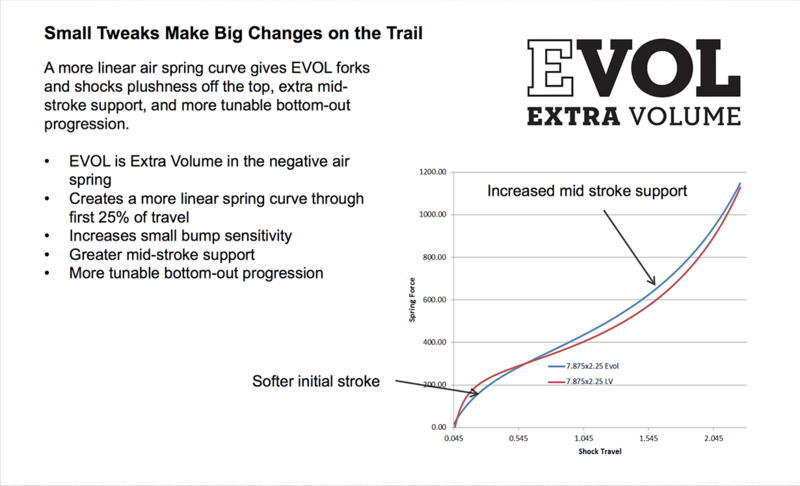 Like the rear EVOL air springs, this gives more volume, which makes the fork a bit more linear and should improve small-bump sensitivity. The volume reducers also have been changed a bit, and should be easier to install. 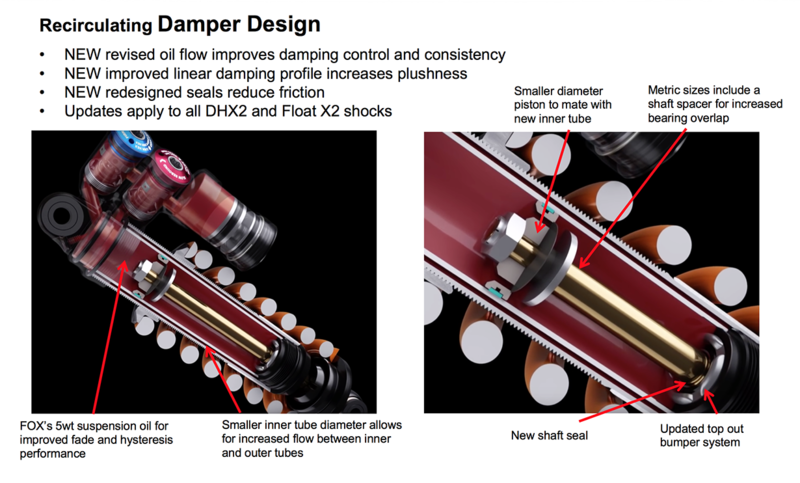 Tweaks to the damper tunes on many of the products to improve small bump sensitivity without sacrificing mid-stroke support. 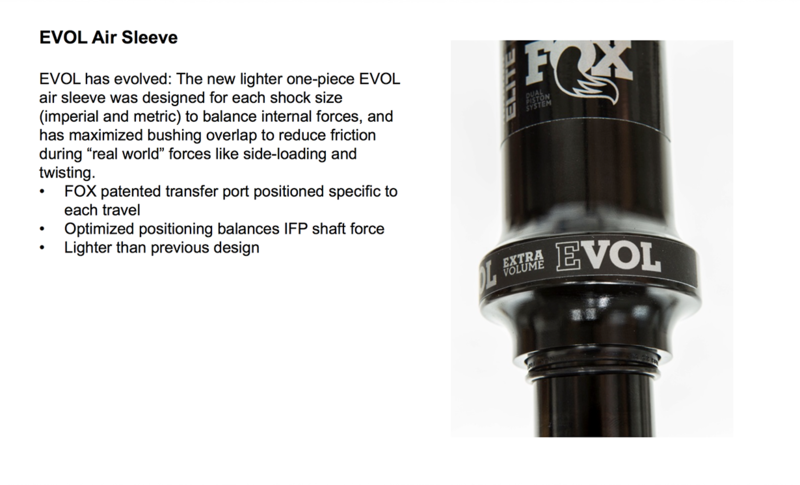 A lighter EVOL canister on Float DPS rear shocks. 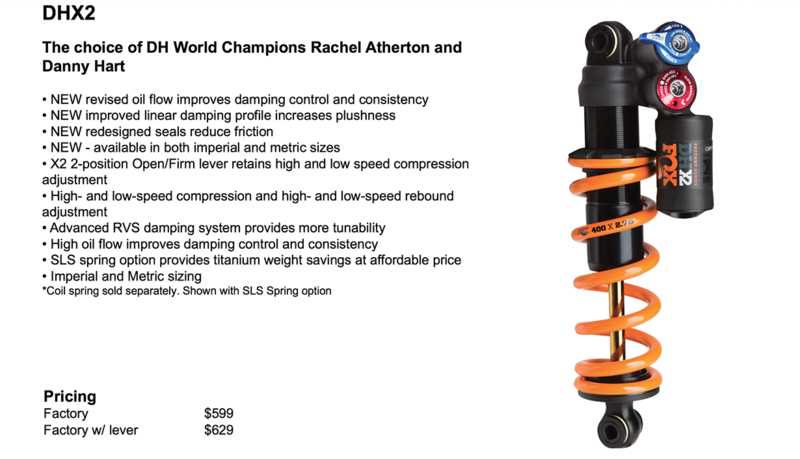 Rear shocks available in both imperial and metric sizing. 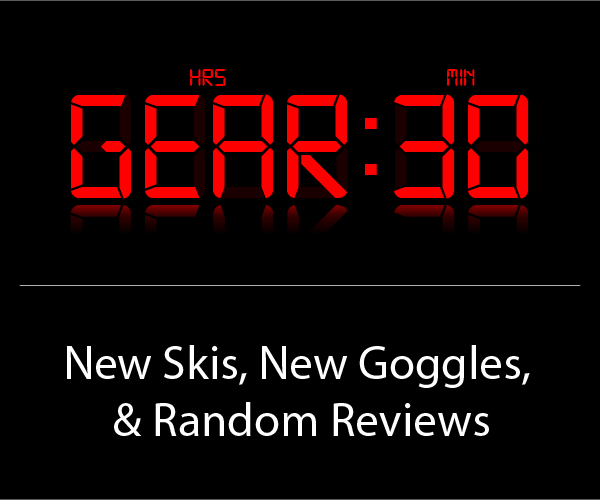 A new short travel iteration of the 32 Step-Cast for gravel grinding. 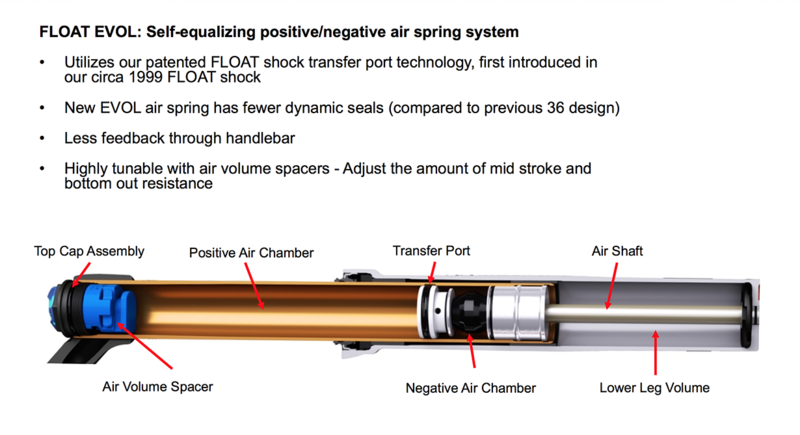 Increased adjustment range on X2 (air and coil) rear shocks. 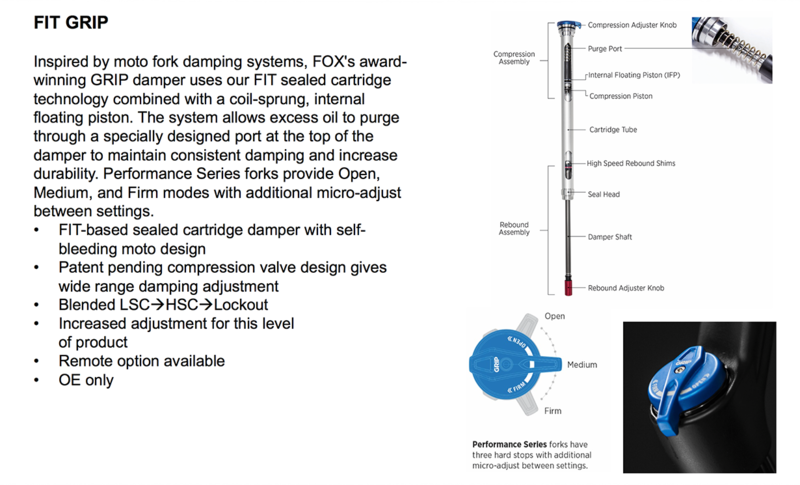 Fox continues to offer 4 levels of forks, from the top-of-the-line Factory models, followed by Performance Elite, Performance, and the OEM-only Rhythm models. 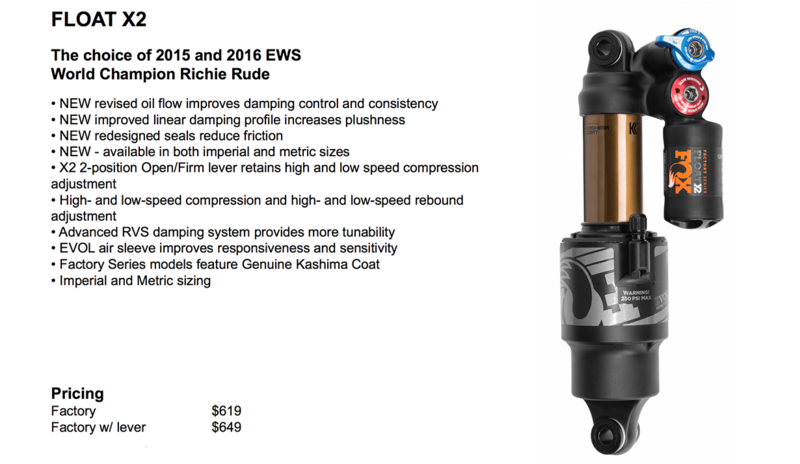 The Factory models have Kashima coated legs, 7000 series aluminum, and top of the line damper options. 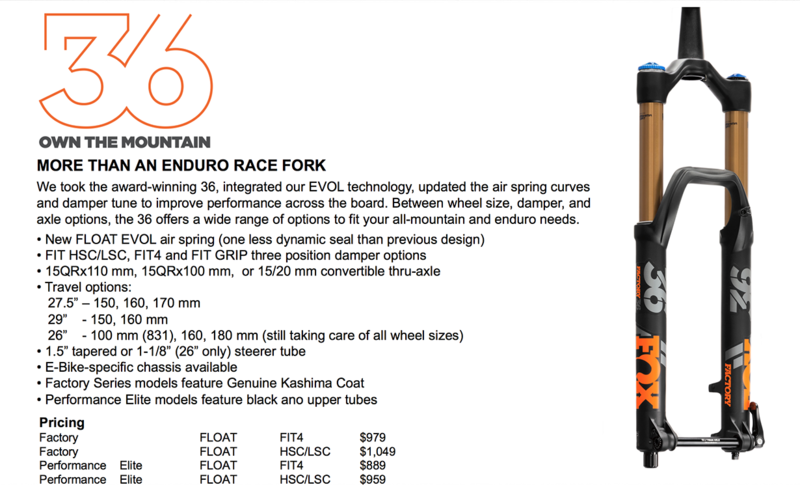 Performance Elite forks are similar to the Factory models, except they have black anodized legs rather than Kashima. 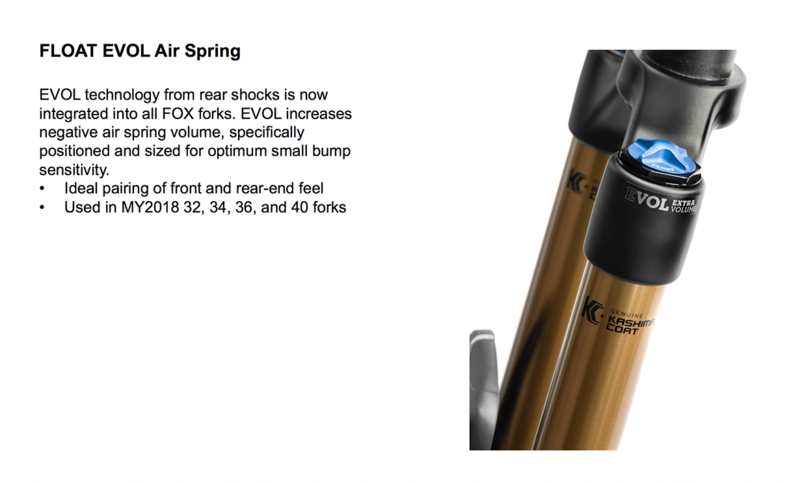 Performance forks have black anodized legs, but they bump down to a FIT GRIP damper. Rhythm series forks are built out of 6000 series aluminum, have gray anodized legs, and use the FIT GRIP damper. 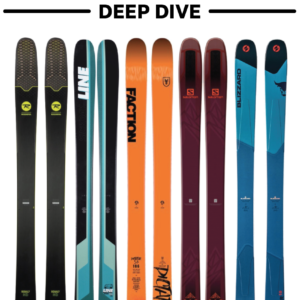 Despite the leaked photos and rumors you may have heard, the 40 is not yet being offered to the public for 29” wheels. 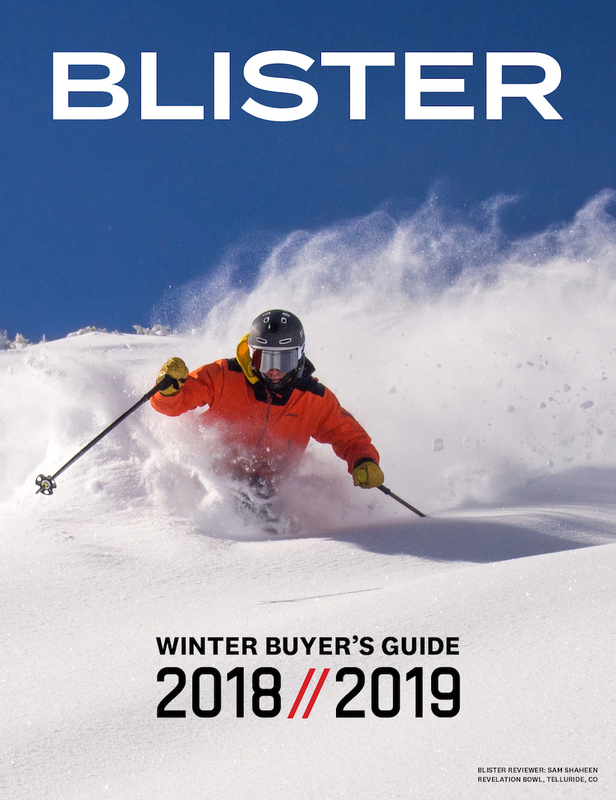 The 36 is still available for 26” wheels. The 36 also comes in a burlier e-bike specific chassis that has a slightly different tune.